Feelings: I take the 2 train from Brooklyn to go to work every morning. My favorite time of the morning is when the train makes a stop at Wall Street station. I see a flock of the most beautifully dressed women get on the train, and I have a chance to observe their gorgeous yet functional bags, Louboutins, and impeccable jewelry. They are not too trendy or disheveled like Williamsburg hipsters or too conservative like Madison Avenue ladies. They are calm and collected with pure New York sophistication, and I have a pleasure of enjoying this daily transit fashion show. Recently, I noticed that they are carrying some obscure clear water bottles. Upon researching, I found out that this bottle is called Bobble Water, which is pretty much a clear water bottle with a portable Brita-esque filter attached. What a brilliant concept! A water bottle that filters your tap water as you sip? I want this NOW. 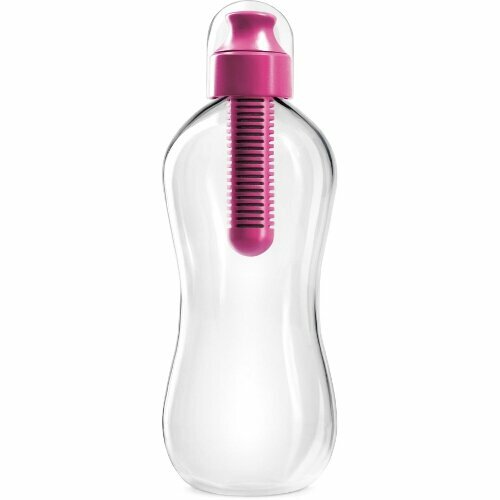 We can stop buying overpriced water bottles from bodegas and avoid awkward water cooler conversations at work all together.